Home » Posts tagged "Pete Buttigieg"
At the end of 2016, Mary Grace Sikorski was forced to close her restaurant, Spaghetti Joes on the west side of South Bend due to lack of business. A few months before Sikorski closed shop, Stephanie Mirza and her husband bought the Innisfree Bed and Breakfast just south of Spaghetti Joe’s and have seen massive success since taking over this past August. Sikorski and Mirza’s business ventures reflect the mixed bag of economic development in South Bend under then-Governor, now Vice President Mike Pence, and Mayor Pete Buttigieg since the two were elected in 2013 and 2012, respectively. The South Bend area, specifically, has been influenced by two major players outside of Pence and Buttigieg, whose roles in the economy weigh heavily into the region’s economic development. Since 2013, the unemployment rate in South Bend has fallen from 10.5 percent to 4.8 percent, along with the rest of the state, where the unemployment rate fell from 8.4 percent to 4.1 percent. This divergence in unemployment numbers, in which the state level is 0.7 percentage points below the city level, is representative of a greater trend across economic measures. The median income in of those living in St. Joseph’s County ($45,248) lags behind the state average of $50,532. Dan Graff, a history professor at Notre Dame, attributes this discrepancy to the loss of industrial jobs in the area. This departure of the core of the economic sector led South Bend’s population to decline from its peak in 1960 of 132,445 to around 100,000 in 2010. This number, according to census estimates, has begun to rebound in recent years. 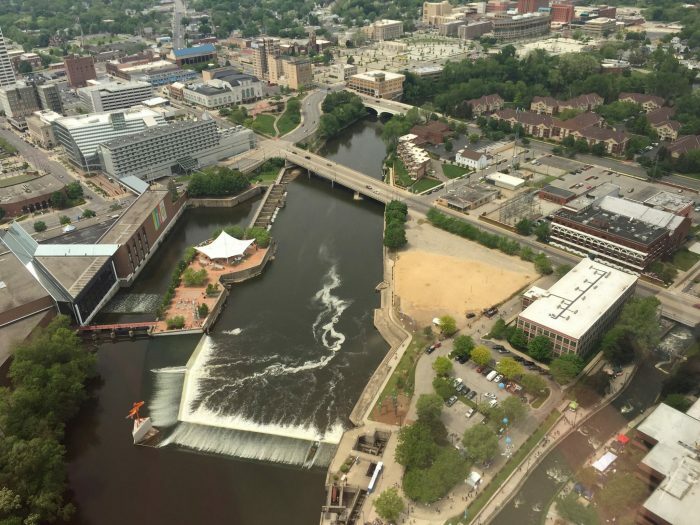 The mixture of positive signals (lower unemployment) and negative signals (lower median income and population decline) show the mixed nature of economic development in South Bend, a city where economic success is possible, yet far from a guarantee. For Sikorski, the decision to pursue a lifelong dream of opening Spaghetti Joes was the result of a perfect blend of timing and desire. Sikorski determined the name for her restaurant per Italian naming customs. When many members of a family have the same name — stemming from their being named after their own fathers or grandfathers — then the identifying characteristic becomes the skill around which the individual built his livelihood. 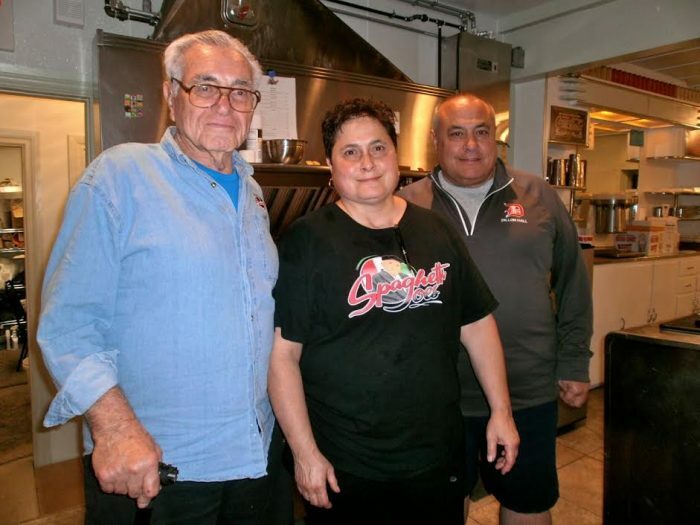 With five “Joes” in the family, and Sikorski’s grandfather being known as such among his family for his passion for cooking Italian cuisine, the choice was simple for the new establishment’s name. The fairytale of owning the family restaurant did not last long. After only eight months of operation, Sikorski was forced to close the restaurant, citing a lack of business rooted in low demand. Sikorski added that the restaurant industry was too demanding to justify continuing operation of the restaurant. Sikorski’s failure can be attributed, in some part, to the loss of South Bend’s industrial economic base. When Studebaker left South Bend in 1963, the rug was pulled out from under the city, who has still yet to recover completely after more than a half-century of stagnation. This stagnation has made it harder for small business owners like Sikorski to succeed with less money flowing in and out of the city. In turn, Graff said, resources are restricted, and the number of jobs paying people a just wage and keeping them safely out of poverty has continually fallen since the early 1960s. “(South Bend) used to have a much more significant industrial base, [but] the jobs that have disappeared or have moved away have not been replaced by jobs that pay the same,” he said. The lack of economic success in the area was reflective of a larger nationwide trend which has shrunk the American middle class, Graff said. 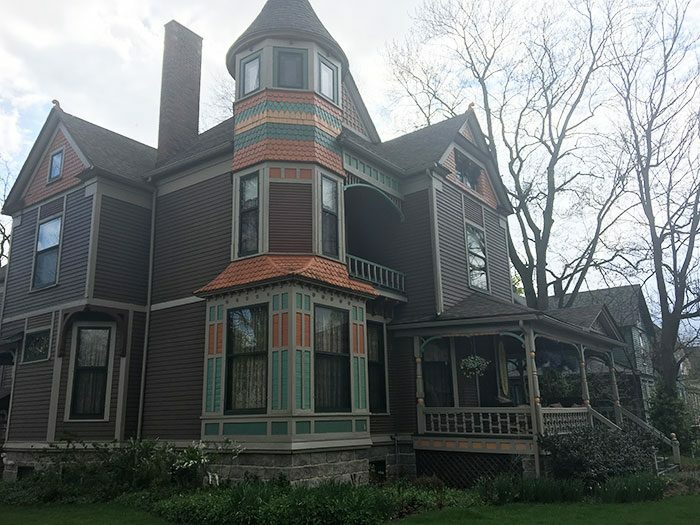 When Stephanie Mirza and her husband moved back to South Bend in 2016, they decided to take a leap and decided to purchase a unique home which doubled as a bed and breakfast. Since purchasing the Innisfree — an Irish-themed bed and breakfast adorned with Gaelic symbols and with rooms named after famous figures in Irish history — the Mirzas have seen booming business, something Stephanie attributed, in part, to a revitalized South Bend. Mirza’s success, and that of other small businesses in the region, has been helped by city-level initiatives spearheaded by the Chamber of Commerce and Mayor Pete Buttigieg. These initiatives, Mirza said, were aimed at improving the outward appeal of business, thereby helping them to grow income. “The city has initiatives for small business,” she said. “If you want to improve the outside of your business and you’re within this radius of downtown, you can get grants to do that. I applied for one to work on the exterior part, it can’t be just for maintenance it has to be some new signage or some new … improve the look on the street. Overall, Mirza said operating a business in South Bend has been a positive and successful experience.